Beaches…mountains…fabulous cities…colorful festivals, and, of course, guaranteed sunshine in many parts of the country. It's not surprising that low-cost Spain is a popular European country for those seeking a home overseas.Spain rewards exploration so venture beyond the coasts to find the "real Spain" and the real bargains. The white villages in Andalusia's mountainous interior…stone-built cottages clinging to hillsides in green Asturias…once-grand towns in the heart of Castile's great plain…and much, much more…the "real Spain" awaits you.Spain has it all, daring modern architecture, regional diversity, fantastic weather, a sleepy countryside dotted with citrus and olive groves, delicious food, delectable sangria, and choice rioja.Spaniards enjoy one of the best lifestyles and qualities of life in Europe—they are known for their close family ties, their love of children, and their respect for the elderly. Hospitality is an important tradition here, and one that has contributed greatly to the development and success of tourism infrastructure.The climate in Spain is diverse. Around the Mediterranean, summers are hot and dry while winters are mild, and occasionally wet. Summer in central Spain and along the southern Atlantic coast is hot and dry, but there can be snow and strong, cold winds in winter. The north and northwest tend to be wet and overcast, with warm, pleasant summers.See below for videos of Spain. 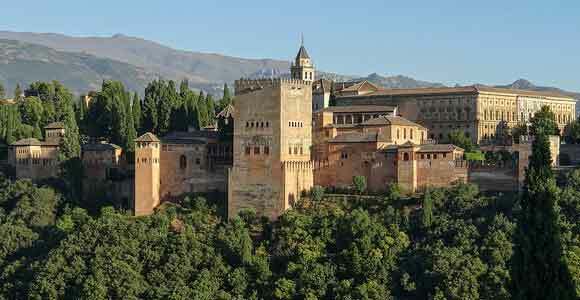 Learn more about Spain and other countries in our free daily postcard e-letter. Simply enter your email address below and we'll also send you a FREE REPORT -- Live the Good Life in Sunny, Affordable Spain.This special guide covers real estate, retirement and more in Spain and is yours free when you sign up for our IL postcards below.